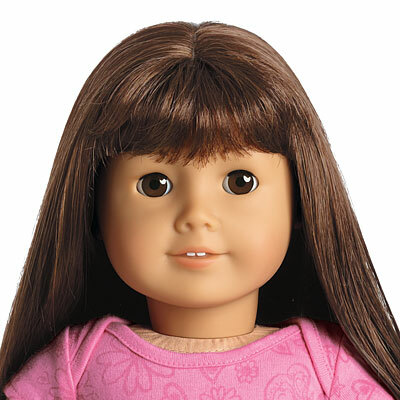 Your girl can create a unique personality for her My American Girl® doll! This doll is 18" tall, with brown eyes that open and close. She has light skin and auburn hair with bangs that can be styled, and she has a huggable cloth body. Plus, she arrives with a True Spirit Outfit and a charm-keeper necklace.